What is the ideal Praise to Criticism ratio? Research suggests top performing teams give each other more than 5 positive comments for every opportunity for improvement. Medium performing teams had a 2:1 ratio of positive to negative. 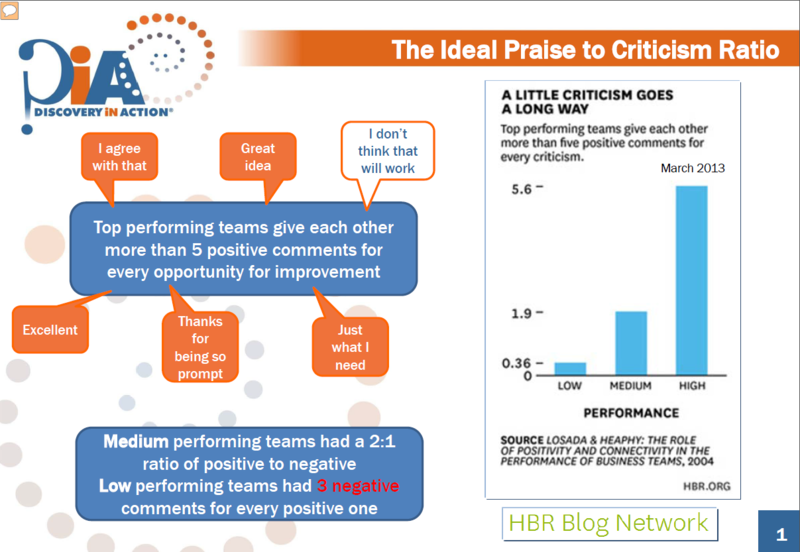 Low performing teams had 3 negative comments for every positive one. What happens in your team? And what do you role model? This link to an HBR article explores this issue further.